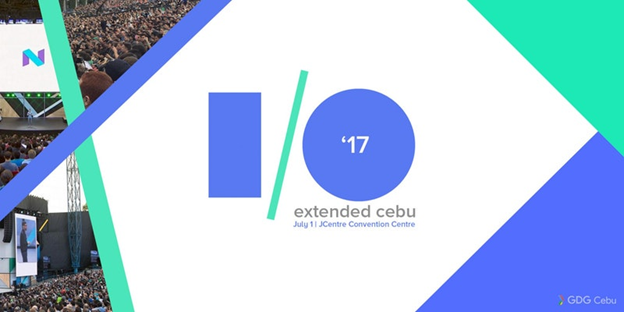 If you think GDG DevFest and Cebu Code Camp was action packed, this year's I/O Extended Cebu 2017 is expected to be more awesome and bigger to cater the technology enthusiasts of Cebu. The event is composed of a series of keynotes, talks, Codelabs, and workshops organized by Google Developers Group Cebu (GDG Cebu), a non-profit group of amateurs and professionals in Cebu's developer community who are passionate about Google technologies. The I/O Extended Roadshow is made possible by its General Sponsor: Google, Event Partners: ASUS and Accenture, In-Cooperation with Kyocera Document Solutions Development​ Philippines Inc., with support from Symph, Event’s Official Internet Provider PLDT InnoLab and its Official Media Partner, PR Works. The theme for I/O Extended Cebu is focused on Artificial Intelligence and Machine Learning. Other major topics covered will be: Firebase, the Cloud, Material Design, Internet of Things, VR, Android, and 2017's Web Trends. Local and international speakers and experts will be imparting their knowledge and experiences with these technologies; sharing information and tips to students, designers, developers and tech-savvy individuals.